Magic Stars (U11) Win 1st Place @ West Islip Tournament! Many Babylon Soccer Club teams have been playing in tournaments this winter to keep up their skills. 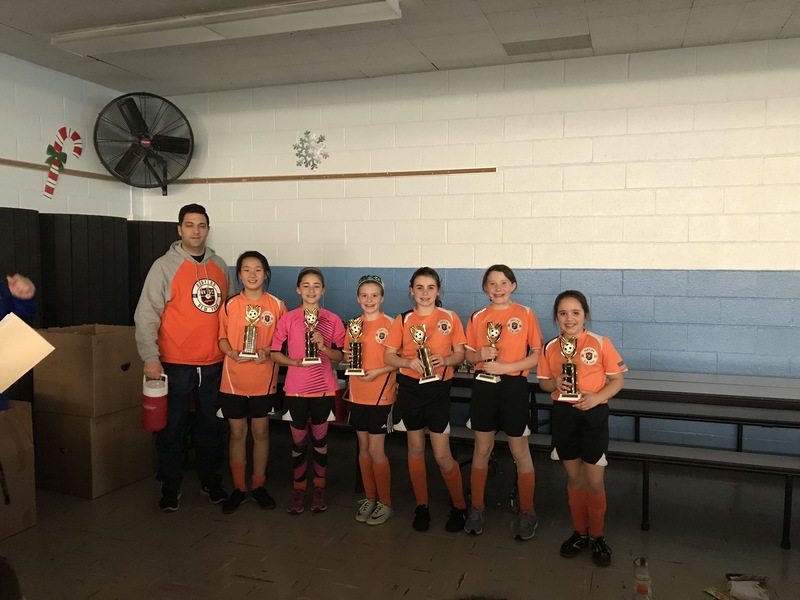 Last weekend, the Girls U11 team, Magic Stars played in the West Islip Adam Novellano Memorial Tournament winning 1st place! This is the first big tournament win for the girls and they earned it. They also took home trophy’s for Best Goalie and the Lion Heart Award while players from the Magic Stars White team took home Best Offensive Player and the Lion Heart Award. Pictured with Coach Tim Bivona. Players pictured left to right: Ashley Nam, Olivia Muller, Hazel Bivona, Kerin Tanner, Erin Stroehlein & Abigail Callahan. Missing from the photo are Coach Stuart Love and player Katie Channing. Girls from Magic Stars Orange and White teams took home “Best of Tournament” trophy’s as well. 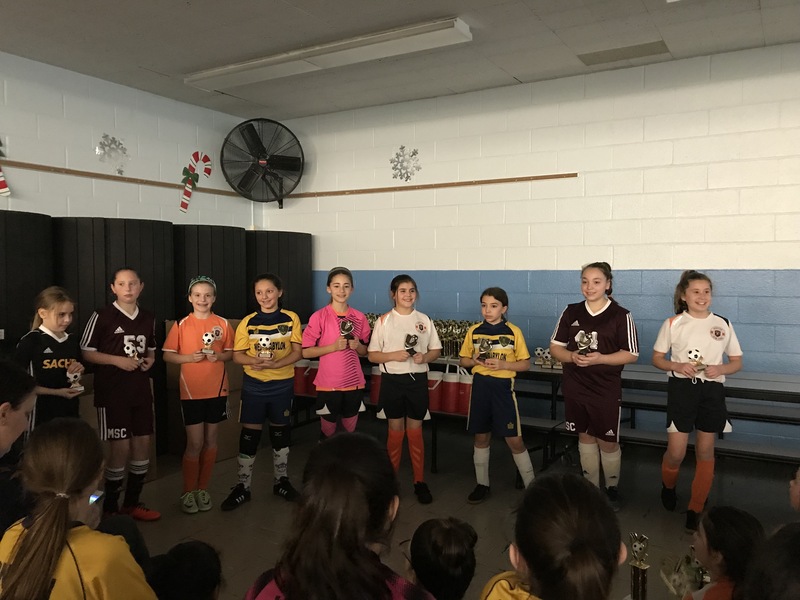 Pictured L-R: Hazel Bivona (orange jersey) won the “Lion Heart Award”, Olivia Muller (pink goalie shirt) won “Best Goalie”, Sara Klienitzke (white jersey) won “Best Offensive Player” & Grace Flynn (white jersey) won the “Lion Heart Award” as well.